Softboot is a boot type which is used most frequently in rec and fitness skates and to a lesser extent in freeskates and aggressive ones. Construction is based on composite base and cuff, to which boot made out of softer materials is attached (usually by glue and/or rivets). 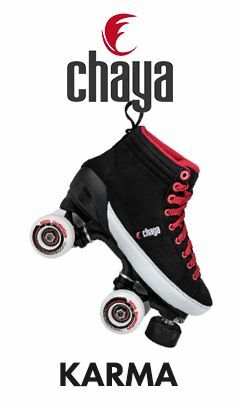 In high quality skates, soft part is made of resistant materials which allow for air and moisture exchange. 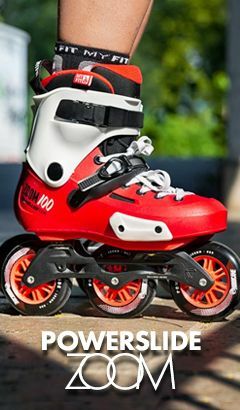 Such boot template greatly improves the comfort of usage and reduces weight – thanks to these characteristics, softboots are widespread among recreational skates which are most often used for calm, leisure skating. Higher end softboots are equivalently reinforced and are good choice for prolonged training sessions. It is worth to highlight that, in fact, such skates provide relatively less control and reactiveness than full composite shells or carbon based skates. Because of this, softboots are not used in areas where these two points matter the most – in speed skating, freestyle slalom or hockey. Riveted cuff – cuff is attached to the shell by rivets. 45° Velcro Strap – strap allows you to tighten the boot and secure heel in place. Strap is lighter and less prone to damage than buckle, however, it does have a bit of elasticity to it and doesn’t give as stiff feeling as buckle. Manufacturer used two piece axles of 8mm diameter. This diameter fits tightly inside inner ring of 608 type bearings and thanks to this, standard spacer is used.